the moment but I just can't stop! 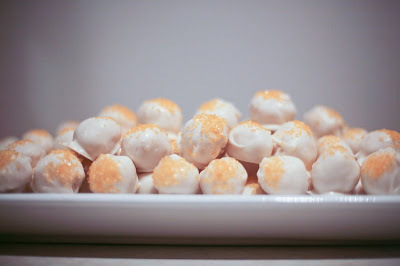 I've found a new favorite treat to make--check them out! 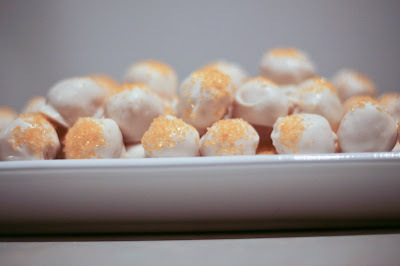 You can make them as cake pops or as cake balls. 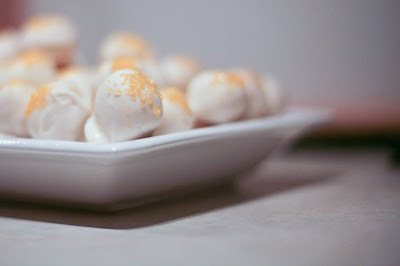 To find the recipe and much cuter, much more adorable versions you must check out http://www.bakerella.blogspot.com/! The Bakerella is amazingly talented and creative--check out her Christmas snowglobe cupcakes!!!! 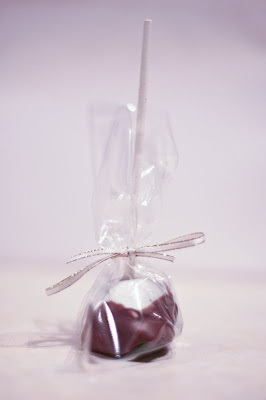 Here are my chocolate cake pops and lemon cake balls...aren't they cute? 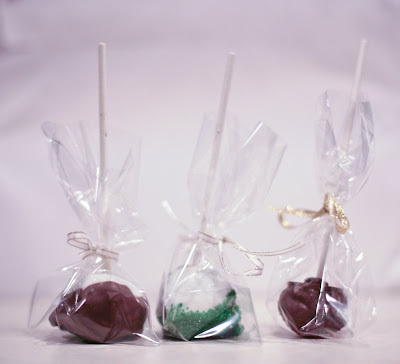 I think they'd make the perfect sweet treat for showers and receptions!